A home is a personal statement, speaking volumes about both the builder and buyer. At Arbus Homes, we start with choice home sites, in some of Calgary’s best neighbourhoods. On these lots we build homes as distinctive as the hopes and dreams of those who come to live in them. Arbus Homes founder Mark Lawson oversees each project, from the plans on the drafting table to the final finishing touches. His years in the business have given him unique hands-on insight into the full scope of building trades. As a veteran builder and a lifelong Calgarian, Mark takes a personal pride in his homes, as well as his city. That personal pride, craftsmanship and painstaking attention to detail translates into a rewarding experience for the homebuyer, and years of enjoyment in a home to truly call their own. Continued strong consumer demand driving Calgary housing market. CALGARY - Although additional resale housing inventory is expected to hit the Calgary market in the spring, a new real estate report says it will be absorbed by strong consumer demand. 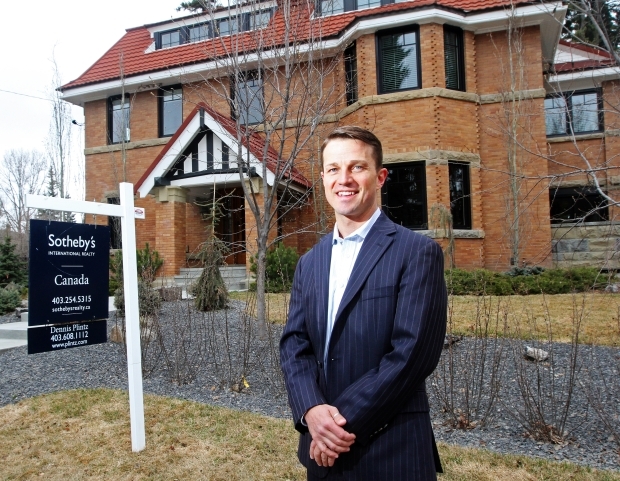 Ross McCredie, president and chief executive of Sotheby’s International Realty Canada, said Calgary’s marketplace demand is due to a number of factors including high incomes and strong net migration to the city. “People feel pretty confident more than any other market in Canada in terms of the future of it,” he said. “The new product that’s out there, the existing product and if you look at all of the data that supports it, it’s not as if you have an over-supply of product . . . Calgary is not that big of a market compared to say Toronto or even Vancouver. You do have a significant demand out there. You’ve got a lot of people looking for high quality real estate. When people make money they typically try to buy real estate. That hasn’t changed. According to the Calgary Real Estate Board, month to date from March 1-17, there have been 1,264 MLS sales in the city, up 13.26 per cent from the same period last year. But new listings of 1,782 are down by 1.44 per cent and active listings of 3,126 are off by 20.17 per cent. The median price has jumped by 9.0 per cent to $433,000 while the average sale price has risen by 6.25 per cent to $482,307. And the average days on the market to sell a home has dropped to 27 from 35 last year. “Low inventory and high demand from buyers have resulted in bidding wars, multiple offers and an increase in sales above asking prices for single-family homes both in the city and its surrounding areas. Low vacancy rates are also encouraging first-time buyers into the market, driving specific demand for homes in the $300,000 to $700,000 range with the effect trickling up to homes at higher price points,” said Sotheby’s Housing & Economic Outlook report. It said Alberta in the year ahead is expected to lead the country in total capital investment growth driven largely by oil and gas extraction and pipelines. The report said anticipated regulatory approval of any one of the many proposed pipeline projects will also contribute positively to the momentum of the city’s economic performance in 2014.